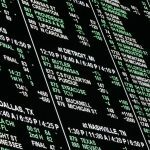 Last week the Supreme Court legalized sports betting. Based on other nations with mature betting markets, this is a $100 billion/year (maybe a $150 billion/year) industry now that no one will be forced into black market offshore wagering and bookies. This should generate a meaningful rise in state tax revenues. On the downside, expect massive corruption/cheating centered in tennis, horse racing, cycling (big surprise), sumo, and other non-team sports.